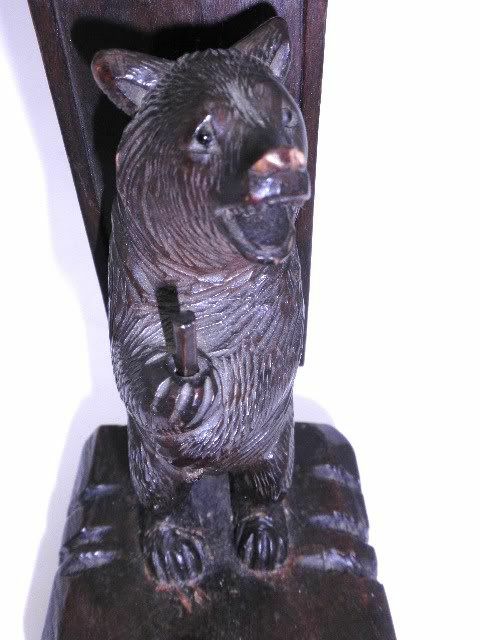 Hand carved wooden antique bear match striker. 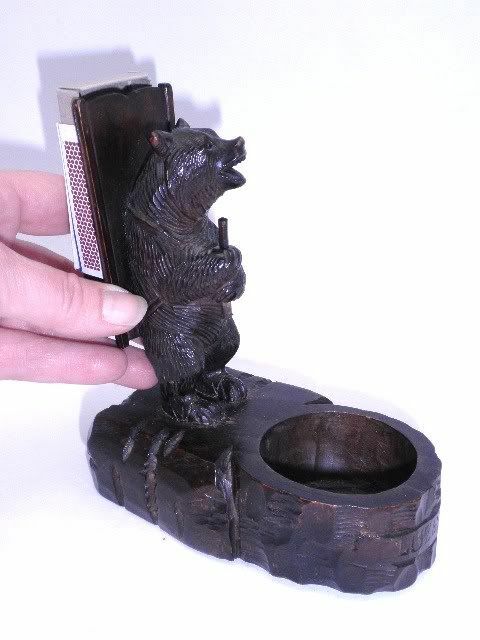 The black forest bear measures 6" tall by 5" long and is 2 1/2" wide. 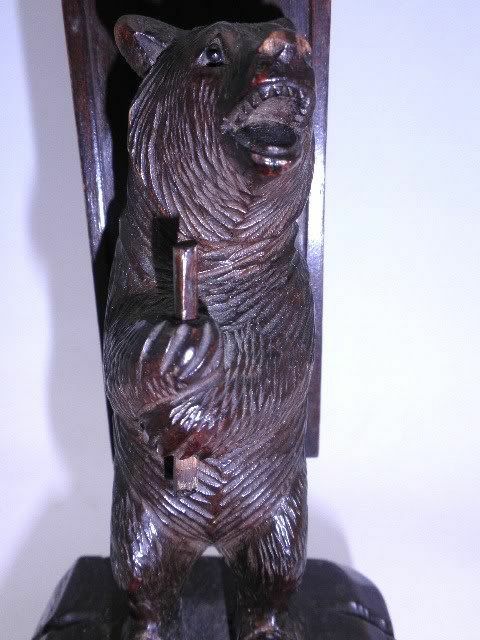 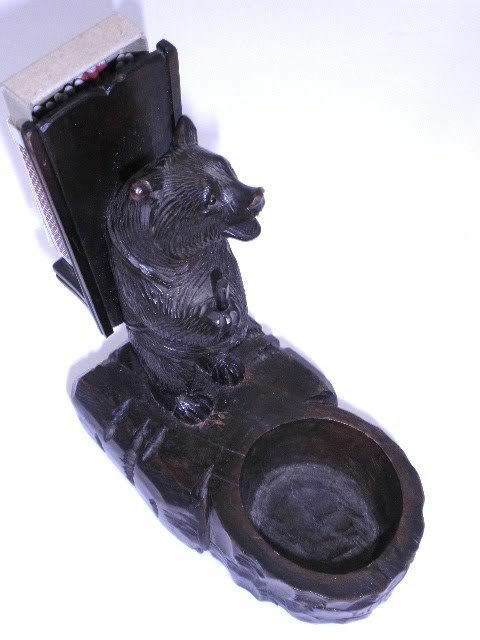 The bear is well carved and solid in structure. 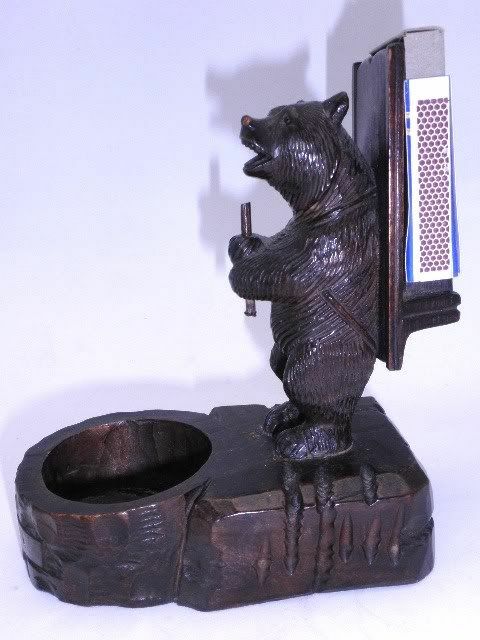 The match striker is legal antique and dates circa 1890-1900.